It’s the end of April, and so: time to review some tequilas! Now, you all know that I’ve stated time and again that “true” tequilas are 100% blue agave and are unaged. And by “unaged” I mean that the tequila has spent zero time in a barrel. Let’s Not Mince Words: Don Julio 1942 may be expensive, but oh man is it fantastic! There aren’t too many tequilas that sit in Don Julio 1942’s price point. There are several just below and a few just above, and they are all truly awesome. So, me calling 1942 “fantastic” is to be expected. And seriously, at its $100 price point, it *better* be fantastic. Don Julio 1942 may be expensive, but oh man is it fantastic! Don Julio 1942 was created to commemorate the 60th anniversary of the maker’s first distillery. It’s aged in oak barrels for (depending upon the source) between two to two and a half years. While it was originally slated to be a “limited” run, it’s been around for years now, so how limited could it be? I do like the occasional disconnect between scent and taste, but on the whole, I appreciate it when they have more in common. 1942 has scent notes of caramel, vanilla, and citrus. Thankfully, its taste matches up with caramel, vanilla, citrus, and mild herbs. The citrus and herbs really come from the flesh of the agave piña, and the rest of the flavor notes come from the barrel. And those barrel notes are glorious. The smoothness of oak and the roundness of toasted nuts are slight, but are present. The heavier burnt sugar and vanilla notes mask the subtleties, but they open up after the first sip. Speaking of sips: this is a true sipping tequila. One ounce in a brandy snifter; neat. Swirl and enjoy the nose. Sip and enjoy the flavors. Swallow and enjoy a mellow, smooth, slightly sweet ride through the rolling hills of Jalisco near Atotonilco El Alto. 1942 has scent notes of caramel, vanilla, and citrus. Thankfully, its taste matches up. I drifted off there. Sorry about that. 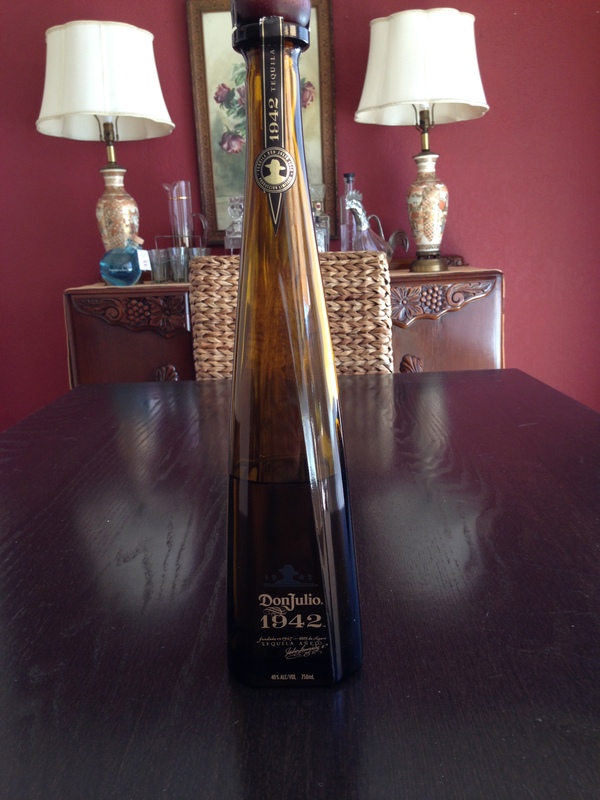 Yes, Don Julio 1942 Añejo tequila is expensive… painfully expensive. But oh man, it is so fabulous.